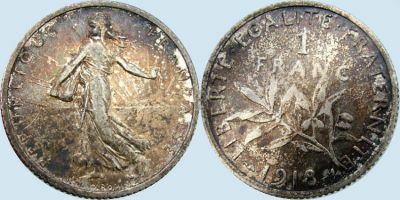 THis is an example of a heavily tarnished coin before restoration. It is possible under the very thick tarnish near the edge of the coin at 7 o'clock there may have been damage. We will see.